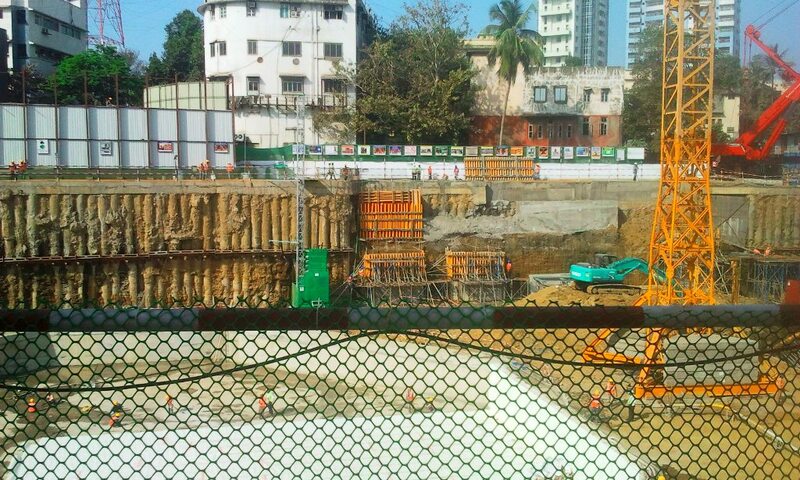 Excavation on Omkar's Worli project has begun. Stefon Constructions' website lists it as one of their projects. "Omkar Realtors & Developers	Worli, Mumbai. 2011-12"
Looks bloody fantastic and futuristic, love it. Awesome design, the penthouses are gonna be friggin expensive. So funky; it seems like the lower peninsula area of Mumbai is where all the skyscraper development is happening. my favorite project of mumbai after namaste tower! Am I the only one who thinks that they look a little bit like syringes? Omkar is the developer of this project and Worli is the place where these towers are gonna come up in future. This would have to be the most "futuristic" development I've seen! The towers look amazing! Cuts like a knife , .. but it feels so right baby!!!!!!!!!! It really does look futuristic! I'd like to see how this looks like when finished, I think it'll be spectacular! Not any official Hieght yet.. IMO ~400m is very much possible.. 78floors+ some 10-12floor equivalent spire. 90 floors can be ~ 400m. Just for records,for me floor hieght is the actual hieght. Pleasantly surprised that something NOT heinous is getting built in Mumbai. Great project!